Mr. Chancellor, Hayley Wickenheiser is one of the most accomplished athletes in Canadian history and one of our most respected sport ambassadors. Widely considered the greatest female hockey player in the world, Ms. Wickenheiser joined the Canadian women’s national hockey team at just 15 years of age. She has since competed with the national team in five Winter Olympics, earning one silver and four gold medals – more than any other Canadian Olympian. As a professional hockey player she achieved several historical firsts, including becoming the first woman to play fulltime professional hockey in a position other than goalie, and the first woman to score a goal in a men’s professional league. She is one of only a handful of athletes in the world to compete as Olympians in two different sports, having represented Canada in the 2000 Summer Olympic Games in softball. Ms. Wickenheiser is much more than an athletic force of nature. She is a role model to young women through her extensive community and international service work with organizations such as Right to Play, Kidsport, Jumpstart, Project North, and Ovarian Cancer Canada. Maintaining a focus on excellence in all her endeavours, she enrolled at the University of Calgary in 2011 and joined the Dinos women’s hockey team. Not only was she named the league’s Most Valuable Player, she was twice named an Academic All-Canadian for maintaining honours grades while completing a degree in Kinesiology in the Faculty of Science. Not surprisingly, Ms. Wickenheiser’s achievements in Canada have garnered countless awards, including her appointment to the Order of Canada. I am pleased to note that she remains a member of Canada’s national team and intends to stay in the game at least until 2018 in order to make a remarkable sixth consecutive appearance in the Winter Olympic Games. 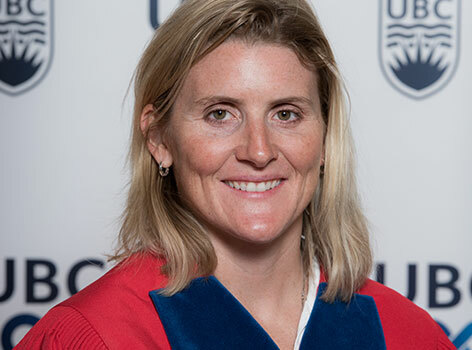 Mr. Chancellor, in recognition of her achievements in sport, her contributions to girls’ and women’s hockey across Canada, and her tireless community service, I ask you to confer the degree Doctor of Laws, honoris causa, upon Hayley Wickenheiser.